But is the plan really feasible? The U.S. Defense Advanced Research Projects Agency (DARPA) is seeking proposals for “intelligent floats” with an ambitious goal: wire the world’s oceans with a network of sensors, capable of recording vast amounts of data about the environment that takes up 71 percent of our planet. The plan has been compared to the “internet of things” trend. 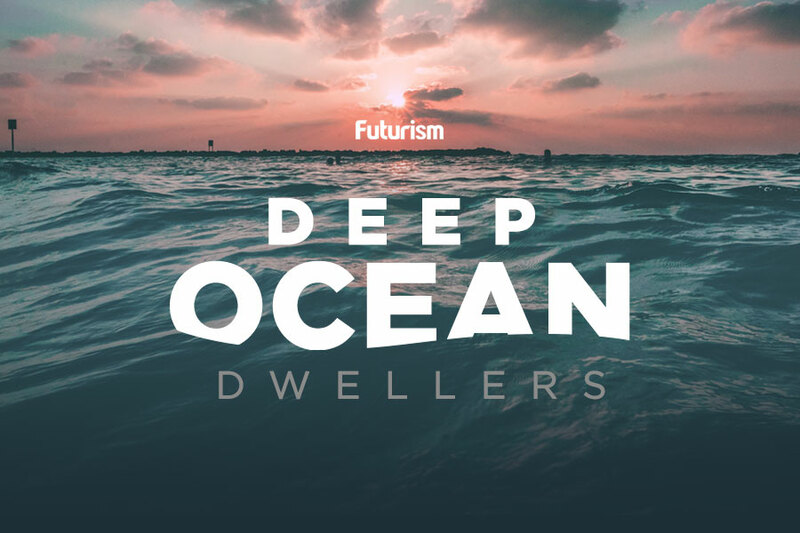 Yet instead of linking refrigerators and thermostats to the internet, the “Ocean of Things” will bring everything from whale calls to water temperature online. Most of the world’s oceans are like a pitch-black room lit with a couple of very bright spotlights; we know a fair bit about the “lit” spots that we’ve visited with scuba, submersibles, and autonomous vehicles, but almost nothing about the dark spots in between. A web of data-hungry floats could help change that. DARPA’s agency annoucement on the proposed network suggests that the intelligent floats should be flexible to accommodate different payloads and sensors, depending on their unique mission. Every one should collect basic environmental data like temperature, salinity, and sea state, as well as report their system health and detect nearby vessels. The program also requires that the floats pose no risk to passing boats or marine mammals, and be made of environmentally-friendly materials that can last in the sea for at least a year. Many marine scientists are excited about the wave of data that an Ocean of Things could provide. The sheer size of the ocean, and the difficulties that come with operating in it, often means researchers can either choose to have spatial data — the same sort of information, taken at different points and different times — or temporal data, the same information taken at one point over a long period of time. The Ocean of Things could provide an as-yet unheard-of method of recording both. But others doubt that such a monumental undertaking will even be possible. The DARPA call for proposals limits the cost of each float to $500; yet experts estimate that a battery and the iridium satellite required to transmit information would each cost $100 or more, leaving little cash left for the actual instruments aboard. Another researcher, speaking anonymously, told Oceans Deeply that it would also be extremely difficult to even keep the floats where researchers wanted them; in the ocean, weather systems can create spots where large areas of water begin circulating in an eddy, which could pull all the sensors into the same location. “Then you lose the resolution you’re hoping for,” the researcher said. DARPA’s call for proposals is just the starting phase for this project, and designers may have innovative solutions to overcome the problems raised. Fortunately, DARPA isn’t the only organization seeking to illuminate the unknowns of the sea. The U.S. Ocean Observatories Initiative, a National Science Foundation-network of six research arrays in the Western Hemisphere, has been providing researchers with spatial and temporal data from the ocean’s surface all the way down to the deep sea since it came online in 2016. And if a new joint project by the General Bathymetric Chart of the Oceans succeeds, schools of robots will soon be launched to chart the world’s oceans, with the goal of mapping everything by 2030.